Zinnias are the all-time favorite summer cut flower. Think you have no time or space for a cutting garden? Think again!! I’m sharing the breaking news that a home cutting garden is smaller than you think (3’ x 10’) and can be kept with little to no time! Except of course—to cut the flowers and bring them indoors. Think I’m kidding? It’s true. I hear it all the time, I don’t have space for a cutting garden or I work full time and just don’t have time. Here’s the best kept secret– having a small, even tiny cutting garden is the way to success. Corn Cockle is a early spring bloomer. In fact, having little time and space may just have you closer to success than those that have more of both. Why? 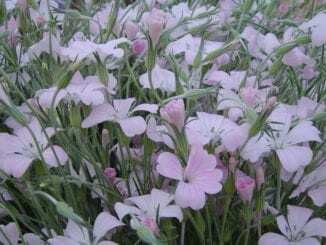 Because a cutting garden, when treated like a cutting garden, produces so many more flowers than people expect that they tend to make the garden to big. Bigger leads to more garden than needed, which translates into more chores and literally too many flowers. This saga begins the sad story of the demise of many gardens. 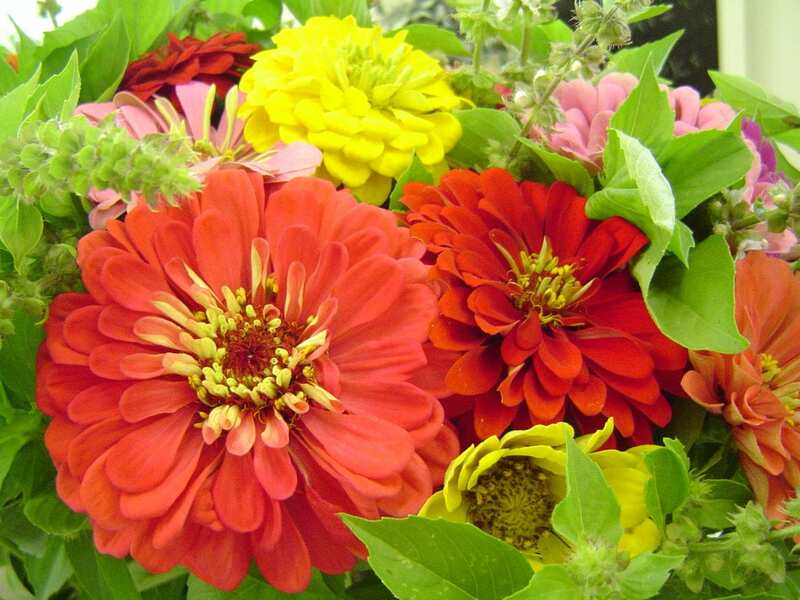 Cupcake Zinnias are small but beautiful! Here’s the thing: the more you harvest cutting garden flowers the more they bloom. Add to that the flowers will last longer because they came fresh from your garden–right? So, as you begin harvesting, your home starts to fill up with flowers–a good thing. Until the flowers keep coming and coming and lasting a really long time. Here’s the problem: All the sudden you start to consider skipping harvesting because you already have so many flowers. This is the beginning to the end of a cutting garden. When the garden is small–I know many that have a 3’ x 5’ garden–you harvest the stuffings out of it and that is exactly what it takes to keep a cutting garden. Here’s a bonus: Consider planting a small cutting garden this fall to have early flowers to harvest come spring. 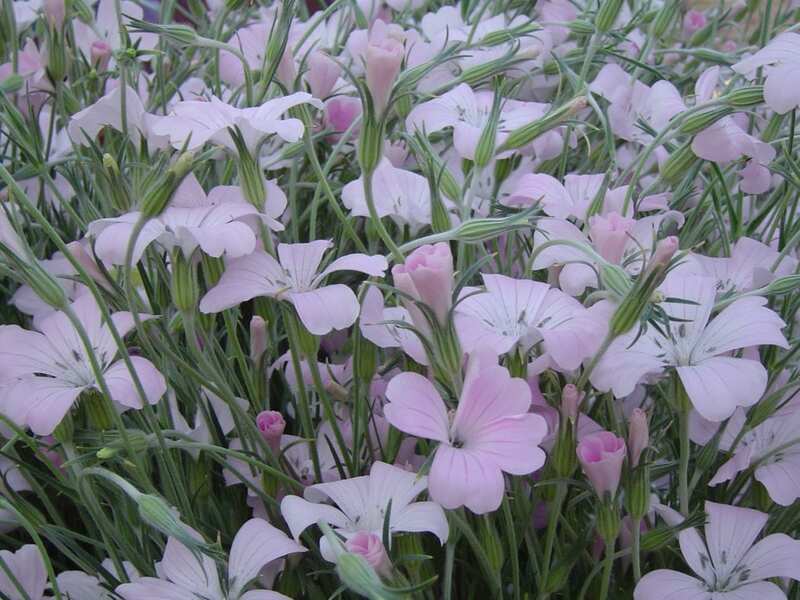 This group of flowers, known as hardy annuals thrive in cool-to-cold conditions. Many can have their seeds planted in the garden in fall to sprout into a little plant to go through winter. Want to learn more about this great group of flowers? Watch my free virtual book study of my book, Cool Flowers! 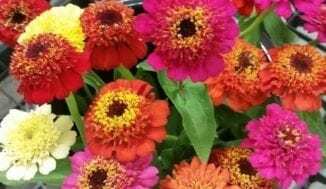 Plant a garden–you can do it! Cool Flowers Virtual Book Study! Frequently asked questions on seed starting. More on a summer cutting garden. 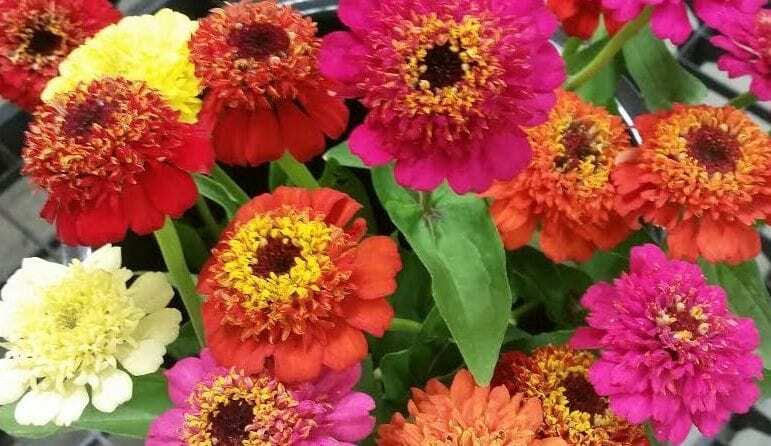 Shop our cutting garden flower seeds. This post No Time or Space for a Cutting Garden? Think Again!! first appeared on www.thegardenersworkshop.com. Lisa Mason Ziegler is a commercial cut-flower farmer in Newport News, Virginia; she lectures and writes about organic and sustainable gardening. You can email Lisa at lisa@shoptgw.com , call her at 757-877-7159 or visit her website www.shoptgw.com . Like us on Facebook and keep up with the farm!